Night Job - Administrator of the McCarthy (Y-DNA) Surname Study, and co-administrator of the Munster Irish (Y-DNA) Project. What's your involvement with genealogy? I've been a genealogist for 35 years and have been actively involved in the transcription of East London Catholic parish registers and the production of data CDs for the Catholic Family History Society. I have been Administrator of the McCarthy (Y-DNA) Surname Study since 2010 and also the co-founder of the Munster Irish (Y-DNA) Project which I run with Elizabeth O'Donoghue-Ross and Finbar O'Mahony. I will show how DNA testing is helping to validate and/or correct the recorded history of the MacCarthys and their predecessors. I will also show how these results throw light on who and what were the origins of the MacCarthy kings of Cashel and Desmond. Did all the major MacCarthy septs share a common ancestor in the eponymous Cárthach? How do recent McCarthy agnomens relate to earlier septs? McCarthy, McAuliffe, Crimeen and variants, and other McCarthy agnomens which have appeared in documentation as surnames in their own right. Please note that these slides are copyrighted and should only be used for personal study. They are not to be used for any other purpose without the owners express permission. Also, please note that because this is a rapidly advancing field, the content may quickly become outdated. 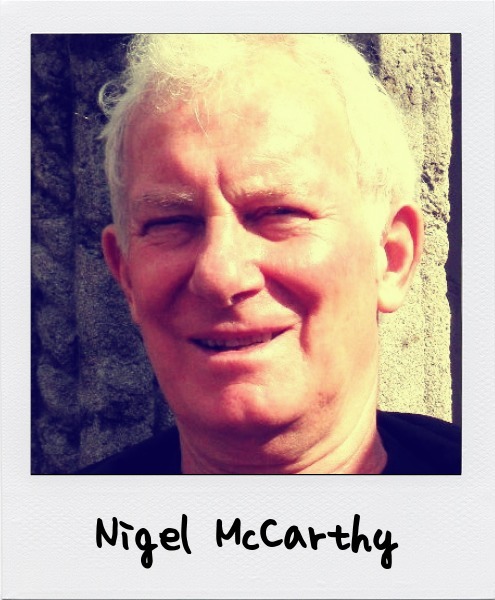 Nigel is administrator of the McCarthy Surname Project at FamilyTreeDNA. Nigel has spent months analysing the STR and SNP markers to generate incredibly intricate family trees based entirely on these mutations. In his talk, Nigel explores how this new DNA data ties in with the ancient medieval genealogies of the McCarthy families and their associated surnames. Presented at Genetic Genealogy Ireland 2013 on Saturday 19th Oct 2013. Please note that these GGI2013 videos are copyrighted to the presenter and should only be used for personal study. They are not to be used for any other purpose without the presenters express permission. Also, please note that because this is a rapidly advancing field, the content may quickly become outdated. The lectures were sponsored by FamilyTreeDNA and organised by ISOGG (International Society of Genetic Genealogy). I would like to correspond with other P314.2+ people to compare family names to see if we can assist each other in finding information on ancestors. I go back to my GGGrandfather Michael McCarthy bc1794 married Catherine Regan (O'Regan) we thin 1824 Bandon. They Baptize son Thomas ( went by John ) 1828 Bathurst, NB, Canada Their children William 1830, Michael 1833, Mary 1837, Andrew 1841, Joseph James 1843. Michael then marries Catherine Cronin 1844, & they have sons Patrick 1845, Florence Francis ( my GGrandfather )1847, & Thomas 1850. Michael dies Jan. 30 1860 it says at 65. Michael's children name their sons that would be named after their father James, & Michael James, so we wonder if Michael's name might have actually been James. I would like to see other P314.2+ members information, so that I can compare naming sequences for possible family connections. This query has been addressed privately. I have a ggg gf Archibald M. Brown b. 1790 Scotland who married Sarah McCarthy. We think they came to NC by way of Charleston abt. 1800. They migrated & settled near Shorter, Macon Co. Al abt. 1836. He was a Methodist Preacher and 1830- 1836 they lived near present day Monroe,NC not far from a family named McLarty who came from Kintyre Scotland. A male McLarty Will from that area mentions his daughter Sallie McLarty who married Archibald Brown. (other McLarty children married into surnames in Archibald Brown's nabe) Could McLarty have morphed into McCarthy or vice versa? Supposedly Sarah McCarthy was born in Scotland. Any help on these surnames appreciated. It does seem that Sarah's true name is McLarty. Are you proposing to try to use genetic genealogy to verify your lineage? I came across this site while researching a family line, Riggens. The last paternal line I have is Teague Riggin II who's father is said to be Teague O'Dowda Reagh. Riggin later turned into Riggens, but the only hits I'm getting from Reagh is sending me to MacCarthy. Was there a descendant who could have came over in the early/middle 1600s and changed their last name to Riggin?